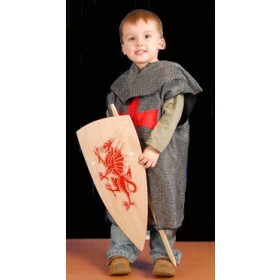 Kids crusader or Knight, chain mail imitation Tunic and Hood costume, suitable for ages 3 to 6. Why not add a sword or shield to complete the outfit. Please note shield is sold separately.